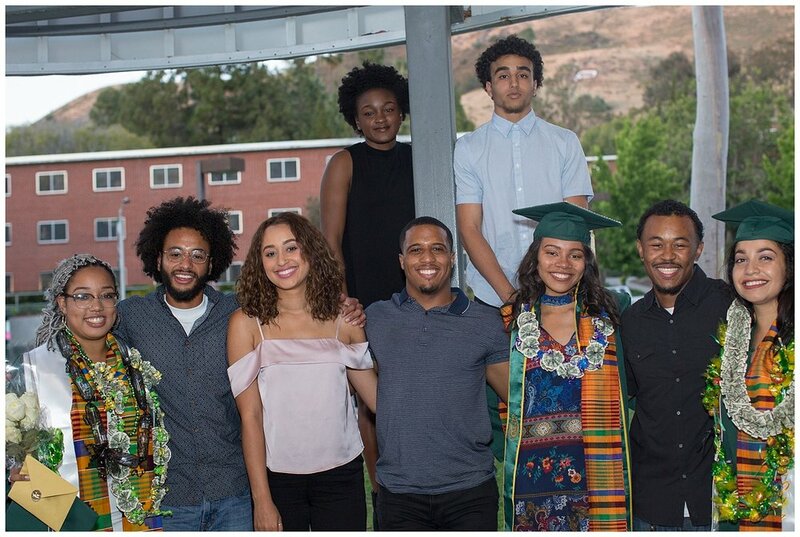 For the past 29 years, Cal Poly (San Luis Obispo) has celebrated the graduating African American students by honoring them with a Black Commencement ceremony held on the Friday before the larger commencements. At Cal Poly, the African American student population has been less than 1% of the general student population (147 students of21,300 students according to the Cal Poly 2017 PolyView) for a few years now. The graduating committee worked really hard to make this event a success for this small and prestigious group. The theme for this graduating class was “Love, Integrity and Enlightenment.” The event started off with the Sitkoto Drummers. Their style of African drumming shaped how the rest of the commencement would be, soulful and lively. The keynote speaker was Bri Blue. Her keynote and take-aways for the graduating seniors was not just for the students, but for all who attended. One nugget of information that I will remember is “flowers wilt, be the tree” in all that you try to accomplish. The students are always so excited to receive their stoles made of kente cloth woven from Ghanaian craftsmen.The traditions of this commencement like many of the other cultural commencements (Chicana-Latino, Native American, Middle Eastern, Lavender and Asian Pacific Islander) are very heart felt and family focused. I look forward to next year’s festivities.